February was a month of good news. There was my appointment as Web Editor at Prairie Schooner. I’m still not sure my family believes that I actually get paid to work for a literary journal now. Actually, I’m not entirely convinced myself yet, direct deposit aside. The job has been a lot of fun, although a bit frustrating at times. It’s been a long time since I started a new job. There’s a lot to learn. Hopefully I’m picking it up right. … Next came word that two of my published short stories will be mentioned among the “Thirty Other Distinguished Stories” in the New Stories from the Midwest anthology series. “The Approximate End of the World” (Boulevard, Spring 2010) will be noted in the back of the 2011 edition. “The Current State of the Universe” (The Cincinnati Review, Summer 2011) will be noted in the back of the 2012 edition. This is a new series, but one that looks very promising. I’m excited to break through in some small way with them. Hopefully it’s only the start of bigger things. … That same weekend I learned that my review of Yannick Murphy’s novel The Call was accepted for publication in the Pleiades Book Review. This is my second review Pleiades has taken, and it will run in their Summer 2012 issue. March brings a lot of promise. There’s AWP in Chicago. Spring is here, apparently. (Our daffodils have breached!) ZZ Packer is the writer in residence at UNL and will make a couple public appearances in Lincoln. Also, lil’ Clara Lynne is due to join us. Alaska Quarterly Review for “Forget Me”; Indiana Review for “Attend the Way”; and “Lycaon” by Midwestern Gothic. The Painted Bird by Jerzy Kosinski. A remarkable book about a Gypsy boy’s travels and travails in Eastern Europe during the Holocaust, based upon Kosinski’s own life story. A remarkably brutal book. The Third Reich by Roberto Bolaño. About the ways people confront (or confronted, it was written and it is set in 1980s Spain) the lingering presence or (non)presence of Nazism in European culture. It’s not quite in the stratosphere like 2666 and The Savage Detectives, but is still very good. 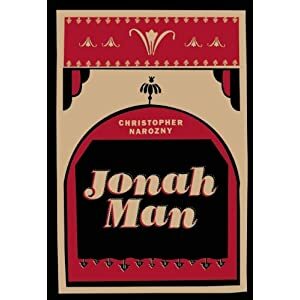 Jonah Man by Christopher Narozny. A very solid first novel about murder, drugs, and the intrigue of 1920s vaudeville performers. It comes out in May. I will be reviewing it. In Our Time by Ernest Hemingway. A rereading of this classic after hearing George Saunders and Robert Stone talk about it at the Key West Literary Seminar. The Snows of Kilimanjaro and Other Stories by Ernest Hemingway. The Sojourn by Andrew Krivak. Stay Awake by Dan Chaon.